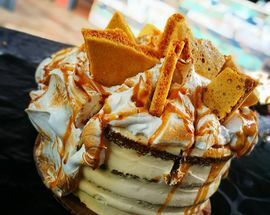 Ice cream, milkshakes, chocolates, waffles or cupcakes - whatever your sweet tooth craves, here's our guide to some of Joburg's most delicious sweet treats. Vicky Bain’s chocolate shop Chocoloza at 44 Stanley is a revelation, even for the most devoted chocolate fan. 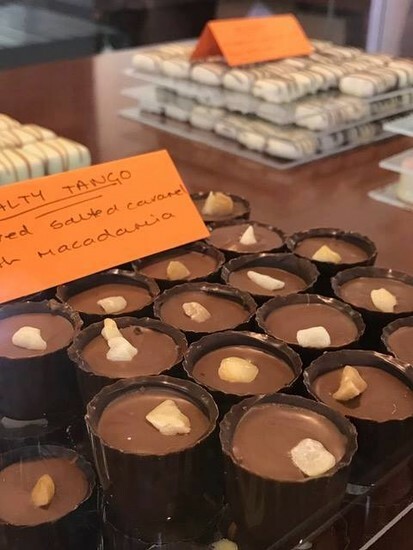 Bain got her training in Belgium and can be found in the store’s chocolate kitchen cooking up all sorts of delicious hand-crafted beauties using only the finest ingredients. There are also seven varieties of hot chocolate to choose from (you get to mix your own into a mug of steamed milk). The croissant-doughnut hybrid is reputed to have found its origins in New York City in 2013 (although there are plenty of bakers from elsewhere who claim to have invented a 'doughssant' several years before). XO Patisserie in Melville's 27 Boxes specialises in cronuts, filled with cream and topped with icing in a range of flavours. They also serve a cronut-shake - a double thick milkshake topped with a cronut. 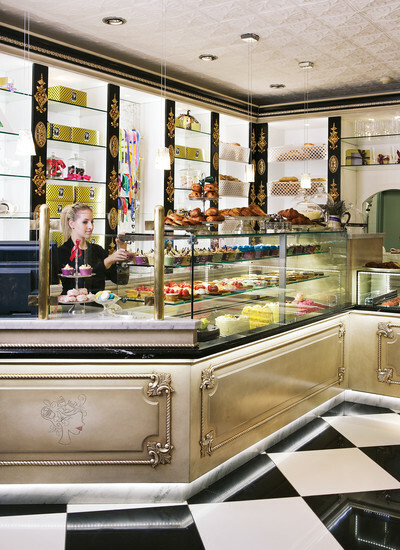 The refrigerators in this place encase beautifully decorated pastries and cake slices available in small petite fours sizes for individual consumption or you can buy the whole cake (available in eight or ten slice sizes). 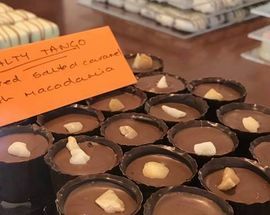 For a chocolate treat try the chocolate volcano, so named because it is warmed to make the chocolate ooze out once you break the chocolate sponge casing. 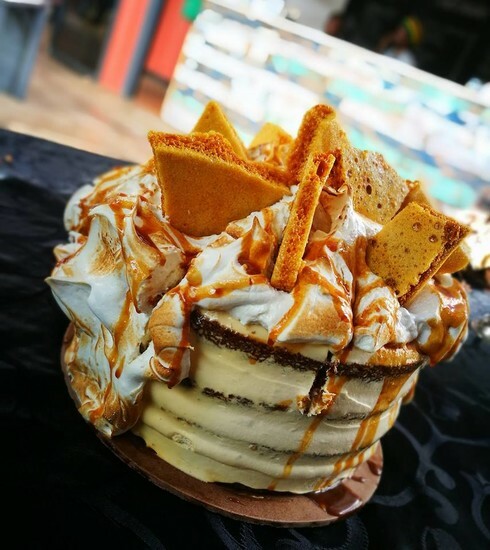 Owner of Belle's Patisserie Linda Lipschitz is determined to offer Joburgers pastries that look as good as they taste and everything on offer is kosher and halal. Lipschitz does everything well, from cronuts to cupcakes, although the standout item behind the counter has to be the exceptional red velvet cake. 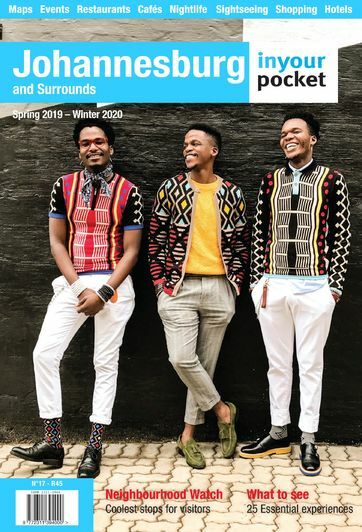 Visit Bryanston Organic Market on Thursdays and Saturdays to browse the stalls selling high quality local arts and crafts, as well as organic produce, and enjoy traditional French crepes at La Cuisine du Jardin. Von Pickartz Belgian Waffles, which can be found at the 1 Fox Market Shed every weekend, make some of the most celebrated waffles in town. Topped with a dollop of ice-cream and fresh fruits or syrup, it's more than filling. While you are at the 1 Fox Market also check out Heroin(es) Cafe who make the most divine chocolate brownies and a beautiful carrot cake. You can also find Heroin(es) Cafe at the weekly Wednesday night market at 27 Boxes. 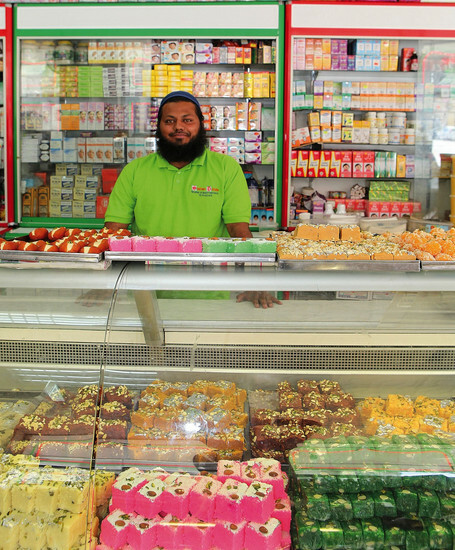 For the best traditional Indian sweetmeats (typically made with a milk and sugar base) you need to visit the predominantly Indian neighbourhood of Fordsburg. 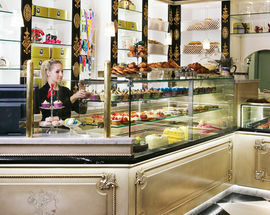 Here you'll find a dizzying array of sweet treats in a kaleidoscope of shapes and colours. 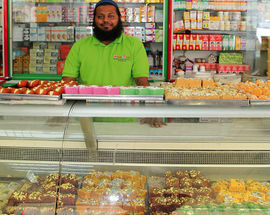 Among the most famous stores with the biggest range is Shalimar Delights. 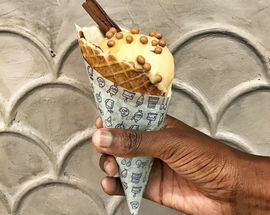 A master at producing delicious and creamy ice cream made with the highest quality ingredients and no synthetic additives, Paul Ballen’s ice cream brand now has four stores (in Rosebank, Hyde Park, Sandton and Parkhurst). 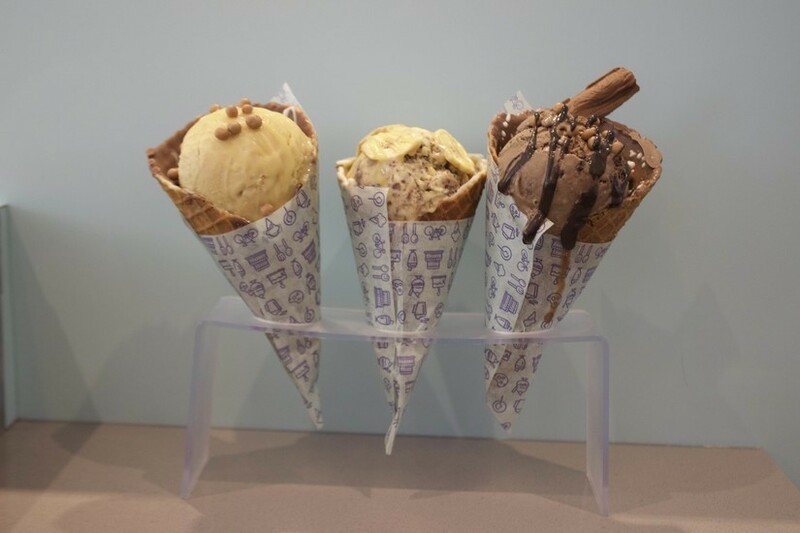 Each store has a signature look and menu items and a regularly changing new flavour of the month. 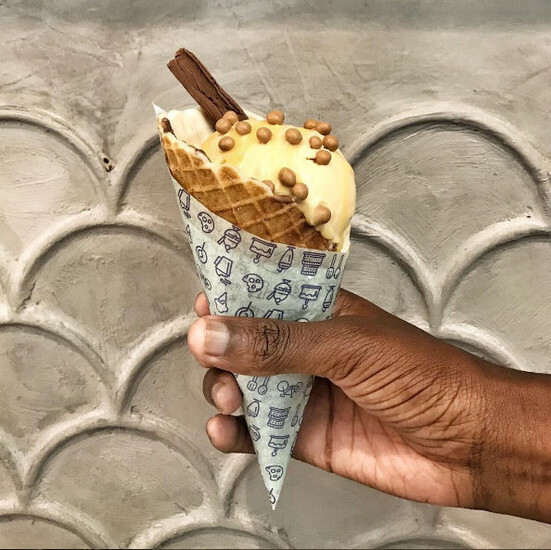 Our favourites include the roasted pistachio, honey and gold edible glitter ice cream available at the Hyde Park Corner store. 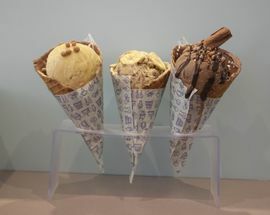 The ultimate milkshake bar with almost 50 different combinations to choose from including favourites like Rocky Road, Oreo and Ferrero Rocher, as well as alcoholic milkshakes. Ditch the diet and order the large shake which comes served in a gigantic goblet. While the flavours might seem childish, the clientele certainly isn't. The bar maintains the odd policy that they won't sell any milkshakes to under 23 year olds, so leave the kids at home.